Here we have a very early Mercedes 350 SL, from August 1971. This is number 1775 of the first production of these cars. It has the 3.5 V8 and has covered 185k. 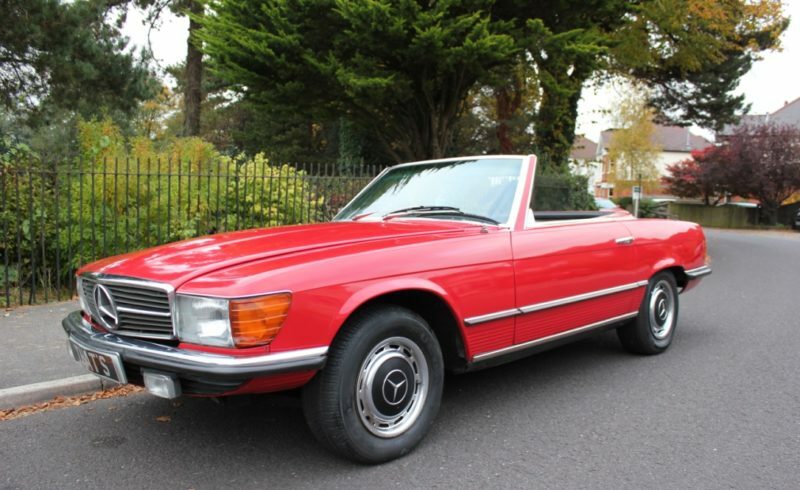 The Mercedes has been in the same family since 1978 and has been well maintained over the years. The body is very solid with no rust. The paint on the car is good but it is showing its age in some places. In her fathers ownership, he regularly made long trips in the 350, it was very well maintained with regular services throughout his ownership. We are not sure if the engine has been rebuilt in the families ownership but it does run exceptionally well, with no rattles or smoke. The car comes with a new Mot valid to October 2017, It has just been serviced with Oil and filter change, New Spark plugs and HT Leads. It has a Hard top which is in good condition but is not in the same colour as the car. The convertible mohair hood is original and is in good condition with no rips. The interior is original and clean. Being a 1971, it is Tax Exempt. The car is located in Bournemouth and viewing is highly recommend. The early R107 like this are the most sort after, Very rare and a great investment for the future!